The Best Low Carb Protein Brownies in the World – A Guest Recipe by Layne Norton! Every now and then, I crash violently against a recipe that renders my writing-skills useless. 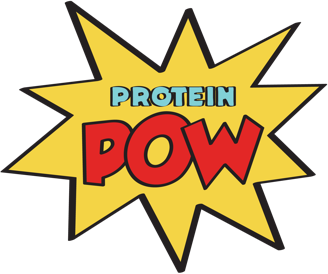 It’s hard to maintain’s one’s composure – to keep one’s jaw shut and one’s heart rhythm stable – when reaching the peak of culinary protein splendor. This is one of these recipes that I just don’t know how to begin describing. So… I guess I’ll start at the beginning! A few months ago, I stumbled upon Layne and Isabel’s Low-Carb Protein Cheesecake (see the recipe here!) When I tried it, I wanted to scream a mighty Halleluja and it was then that I made a mental note to one day, down the line, ask Layne to guest post one of his recipes on here. A couple of weeks ago, I decided it was time to ask. “Sure”, he said, “I have a brownie recipe at home that I think would blow people away!” So, here I am, writing this post from up in in the stratosphere, blown away as I was by these brownies! You’re going to love this recipe. Before opening our arms are bestowing upon you this gift of protein glory though, I want to add a few words about Layne. For those of you that don’t know him, Layne Norton is a beast. Like yours truly, he has a PhD, but unlike me, his PhD is in Nutritional Sciences. Layne is a Natural Pro Bodybuilder (IFPA & NGA), a Muscular Development Magazine Columnist, a Nutritional Researcher, and the head of ‘Inside the Life of a Pro Natural Bodybuilder’ at bodybuilding.com. Here is Layne’s website and I urge you follow him also on facebook and twitter. Also, check out the interview that Layne recently did with my friend Ben from Propane Fitness! Layne is an awesome guy and, seriously, if you’re not already a fan, well, the recipe below is sure to turn you into one!